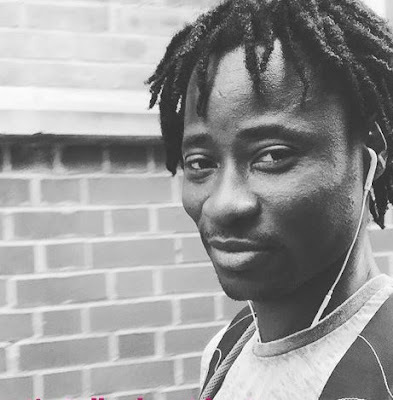 Nigerian Magazine: Bisi Alimi talks about opening a gay church, Nigerians blasts him. 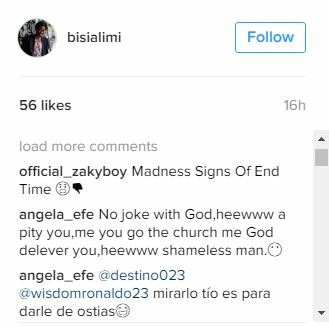 Bisi Alimi talks about opening a gay church, Nigerians blasts him. 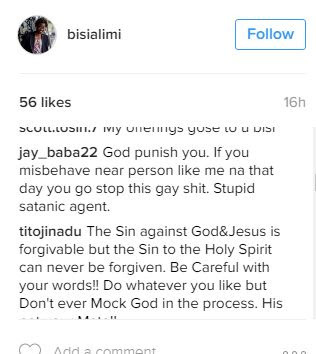 Popular Nigerian gay activist, Bisi Alimi has sparked an outrage on social media after revealing his plans to start a church. 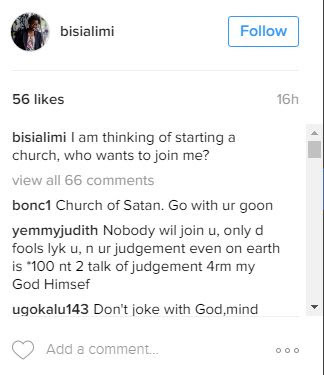 Several fans and non fans wrote negative things about his suggestion/joke. 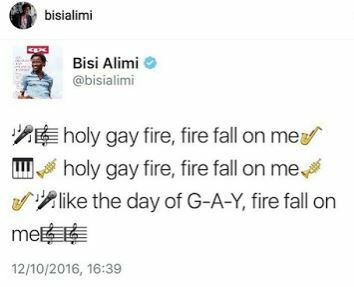 They also chastised him heavily for changing the words in the Christian song from ‘Holy Ghost fire’ to ‘Holy Gay fire’.